This is certainly the busiest, and arguably the most stressful, time of the year for many businesses – particularly for the bars, restaurants and hotels who host annual Christmas dinners and parties. You may think once you have ordered the tableware, crackers and party decorations you are all set, however, after the merriment, there are a plethora of messes, soils and spills to clean up, ready for the next guests’ celebrations. 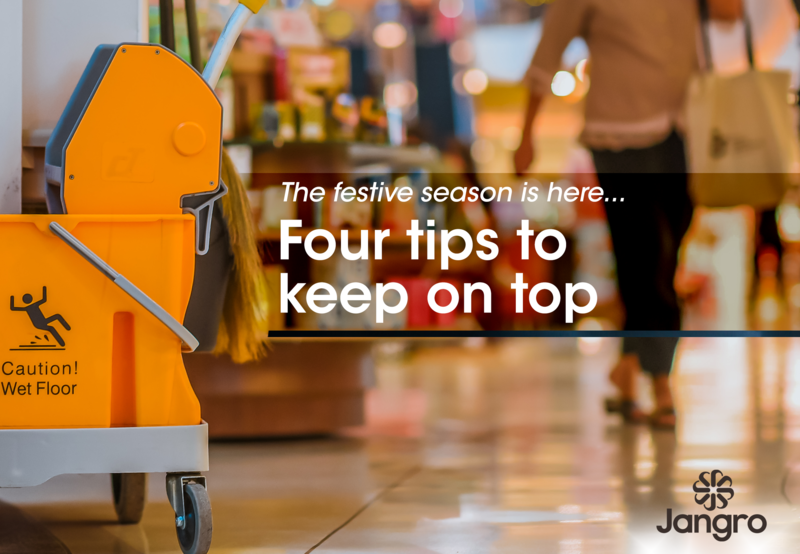 The volume and frequency of cleaning required during December is high, so detailed planning and effective supervision is key to ensure cleaning operatives stay on top of their busy schedules. Amending cleaning operatives’ checklists to incorporate the extra tasks. Work out if the new workload is realistic and manageable. With limited time to clean up, you may need to recruit seasonal staff, temporarily omit tasks, or move them around on certain days to accommodate the additional workload. The type of stains and spills that are likely to occur. Ensure you have the right equipment and ample supply of detergent products to remove festive stains such as red wine, cranberry sauce and candle wax – check out our comprehensive range here. The fact that a higher footfall will also impact on washroom facilities. It is a good idea to take a look at your washroom facilities now. Check that everything is in good working order, and that you have enough stock for refills. Also ensure you plan frequent monitoring into operatives schedules to ensure that soap dispensers, toilet tissue and paper hand towels do not run empty, and that the space is kept clean and hygienic. Installing an effective barrier matting system. Approximately 80% of the total amount of soil present within a building is brought in via people’s feet – it has been estimated that up to 90% of such soil can be prevented from entering the building by a barrier matting system. This would reduce floor dirt and grime considerably during the cold, wet (and sometimes snowy) months. < Reasons of partnering with Jangro?